Do you know how much you’re paying for your pension? More than half of us have no idea whether we’re even paying annual management charges on our pensions, according to our research, let alone what they are. Yet these charges can have a significant impact on the amount we end up with at retirement, so it’s vital to get to grips with exactly how much you’re paying. If you don’t know how much you’re being charged for your pension, you’re far from alone. We interviewed nearly 1,299 people with a pension to find out how many of us are aware of exactly how much we’re paying for our pensions. 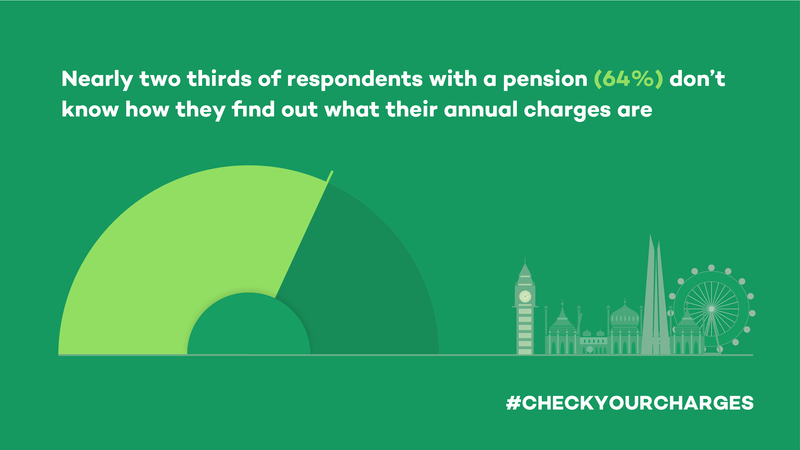 The research, which was conducted in conjunction with YouGov, found that more than half of people questioned (62%) said they didn’t even know that their pension has annual management charges. Those aged 18-24 are most unclear about charges, with a massive four out of five (79%) people in this age group unaware that their pension has annual charges. 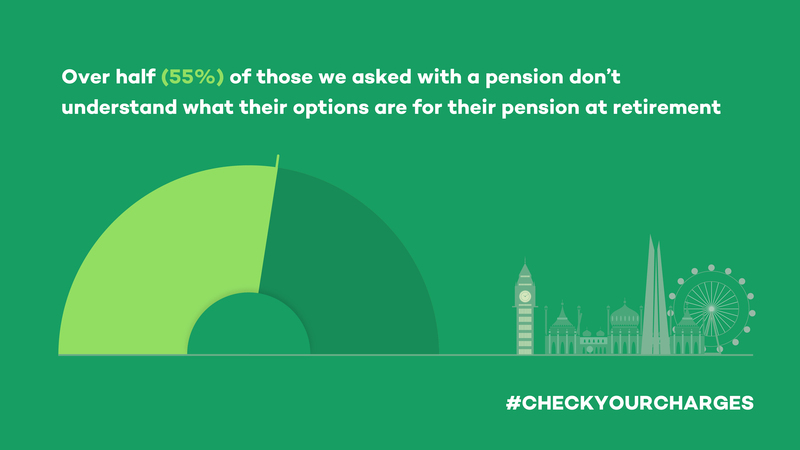 Only 21% of all adults with a pension said they knew how much their annual charges are, whilst 64% said they wouldn’t know where to go to find out how much they are paying. Charges can significantly eat into any investment growth on your pension, so if they are particularly high, your pot could end up barely growing in value over time. Steep fees are particularly common on older pensions which were sold in the eighties and nineties. If you’re not sure what charges you’re paying check your latest annual pension statement or contact your pension provider and ask them what your annual charges are. If you’re uncertain how to proceed, or whether transferring is the right thing to do, always seek professional financial advice first. If you’ve got several different pensions and some of them have high fees, you might want to try consolidating them into one place, so you only pay a single charge each year. Again, always get professional advice first if you’re considering doing this, as some plans come with valuable guarantees that you could lose if you transfer them. Our research also found a lack of awareness about options for pensions at retirement. More than half of those questioned (55%) said they didn’t understand their options when it comes to accessing their pensions. You can find out more about your options at retirement from our blog ‘Accessing your pension’. 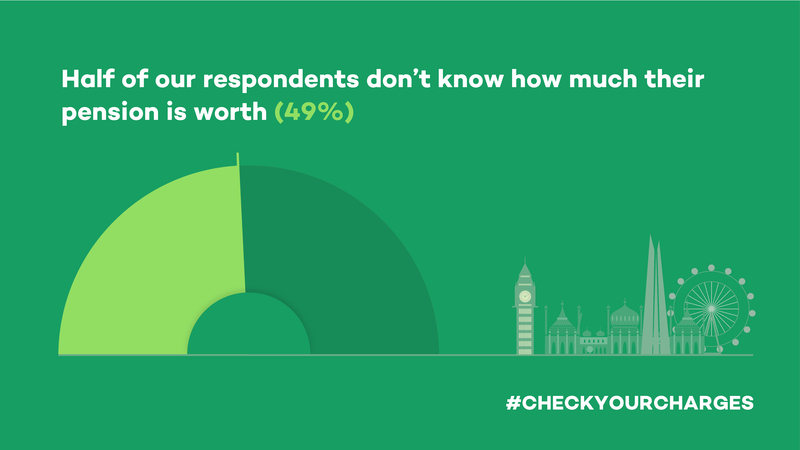 Worryingly, only half (49%) of those questioned said they knew how much their pension is worth. People aged between 18-24 were least aware of their pension’s value, with just over one in five (22%) saying that they know how much their pension is worth. Those aged 55 or over have the clearest idea of the value of their retirement savings, with 68% of people in this age group saying that they know how much their pension is worth. Knowing the value of your pensions can help you work out if you’re on track to achieve the retirement you want, so if you’re not sure how much your retirement savings are worth, contact your provider or check your latest annual statement. All figures, unless otherwise stated, are from YouGov Plc. Total sample size was 2055 adults. Fieldwork was undertaken between 31st August - 3rd September 2018. The survey was carried out online. The figures have been weighted and are representative of all GB adults (aged 18+). The value of investments, and the income derived from them, can go down as well as up and you can get back less than you originally invested. This article does not constitute personal advice. If you are in doubt as to the suitability of an investment please contact one of our advisers. Past performance is not a guide to future performance. Prevailing tax rates and reliefs are dependent on your individual circumstances and are subject to change.